Gasification is a process that converts organic or fossil fuel based material into syngas and carbon dioxide. Gasification is a technology that converts carbon-containing materials, including coal, waste and biomass, into synthetic gas which in turn can be used to produce electricity and other valuable products, such as chemicals, fuels, and fertilizers. Gasification does not involve combustion, but instead uses little or no oxygen or air in a closed reactor to convert carbon-based materials directly into a synthetic gas, or syngas. 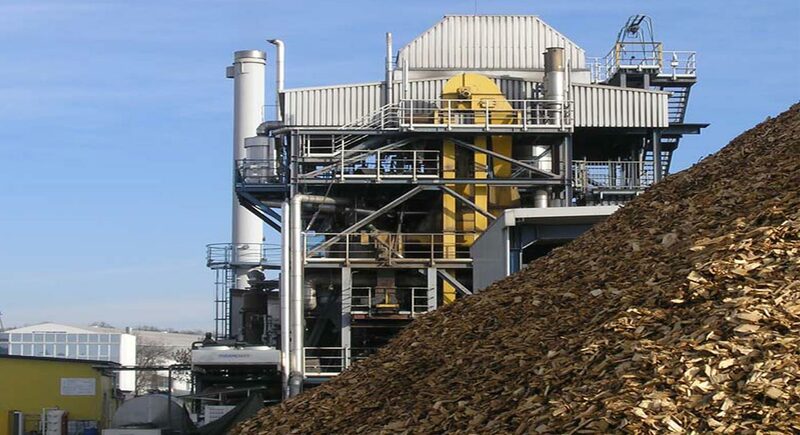 Gasification can recover the energy locked in biomass and municipal solid waste, converting those materials into valuable products and eliminating the need for incineration or landfilling. Metals and glass should be segregated from the waste stream prior to being sent into the gasification process Gasification Technologies Council (GTC). Gasification. 2011. www.gasification.org/uploads/downloads/GTC_Waste_to_Energy.pdf . The gasification process breaks these carbon-containing materials down to the molecular level, so impurities like nitrogen, sulphur, and mercury can be easily removed and sold as valuable industrial commodities. While syngas is the primary product of the gasification plants, marketable products obtained from syngas include chemicals (45%), liquid fuels (28%), gaseous fuels (8%), and electric power (19%). In some coal combustion-based power plants, only a third of the energy value of coal is actually converted into electricity. A coal gasification power plant, however, typically gets dual duty from the gases it produces. First, the coal gases, cleaned of impurities, are fired in a gas turbine - much like natural gas - to generate one source of electricity. The hot exhaust of the gas turbine, and some of the heat generated in the gasification process, are then used to generate steam for use in a steam turbine-generator. This dual source of electric power, called a "combined cycle," is much more efficient in converting coal's energy into usable electricity. The fuel efficiency of a coal gasification power plant in this type of combined cycle can potentially be boosted to 50 percent or more. Carbon dioxide is emitted as a concentrated gas stream in syngas at high pressure. In this form, it can be captured and sequestered more easily and at lower costs. By contrast, when coal burns or is reacted in air, 79 percent of which is nitrogen, the resulting carbon dioxide is diluted and more costly to separate Gasification Technologies Council (GTC). Gasification Fast Facts. (http://www.environmental-expert.com/companies/gasification-technologies-council-gtc-40031) Gasification Technologies Council (GTC). Gasification Fast Facts. (http://www.environmental-expert.com/companies/gasification-technologies-council-gtc-40031) Gasification Technologies Council (GTC). Gasification Fast Facts. (http://www.environmental-expert.com/companies/gasification-technologies-council-gtc-40031) . As coal is the most abundant fossil resource available on earth and even low-grade coal can be used for gasification, the technology is of primary interest in many regions. Increasing gas prices and limited availability of natural gas in regional consumer markets are driving factors for investments in coal gasification technology International Energy Agency (IEA) ETSAP - Technology Brief S01 – Syngas Production from Coal - May 2010www.iea-etsap.org/web/e-techds/pdf/s01-coal%20gasification-gs-gct.pdf International Energy Agency (IEA) ETSAP - Technology Brief S01 – Syngas Production from Coal - May 2010www.iea-etsap.org/web/e-techds/pdf/s01-coal%20gasification-gs-gct.pdf International Energy Agency (IEA) ETSAP - Technology Brief S01 – Syngas Production from Coal - May 2010www.iea-etsap.org/web/e-techds/pdf/s01-coal%20gasification-gs-gct.pdf . Gasification has been reliably used on a commercial scale for more than 75 years in the refining, fertilizer, and chemical industries, and for more than 35 years in the electric power industry. Gasification produces electricity with significantly reduced environmental impacts compared to conventional technologies. Compared to the old coal-burning plants, gasification can capture carbon dioxide much more efficiently and at a lower cost Gasification Technologies Council (GTC). Gasification. 2011. www.gasification.org/uploads/downloads/GTC_Waste_to_Energy.pdf Gasification Technologies Council (GTC). Gasification. 2011. www.gasification.org/uploads/downloads/GTC_Waste_to_Energy.pdf Gasification Technologies Council (GTC). Gasification. 2011. www.gasification.org/uploads/downloads/GTC_Waste_to_Energy.pdf . There are concerns over gasification of waste such as the undermining of zero waste programmes The Blue Ridge Environmental Defense League: WASTE GASIFICATION: Impacts on the Environment and Public Health (2009)www.bredl.org/pdf/wastegasification.pdf The Blue Ridge Environmental Defense League: WASTE GASIFICATION: Impacts on the Environment and Public Health (2009)www.bredl.org/pdf/wastegasification.pdf The Blue Ridge Environmental Defense League: WASTE GASIFICATION: Impacts on the Environment and Public Health (2009)www.bredl.org/pdf/wastegasification.pdf . Sorry, we do not yet have a video specifically for Gasification. We are adding new videos to StudentEnergy.org weekly, but in the meantime check out this video on Biomass. Biomass or Bioenergy refers to the use of organic material to produce energy. Coal is a combustible black or dark brown rock consisting of carbonized plant matter, found mainly in underground deposits and widely for electricity production. Heating and Cooling are key energy services required of all human beings on the planet.